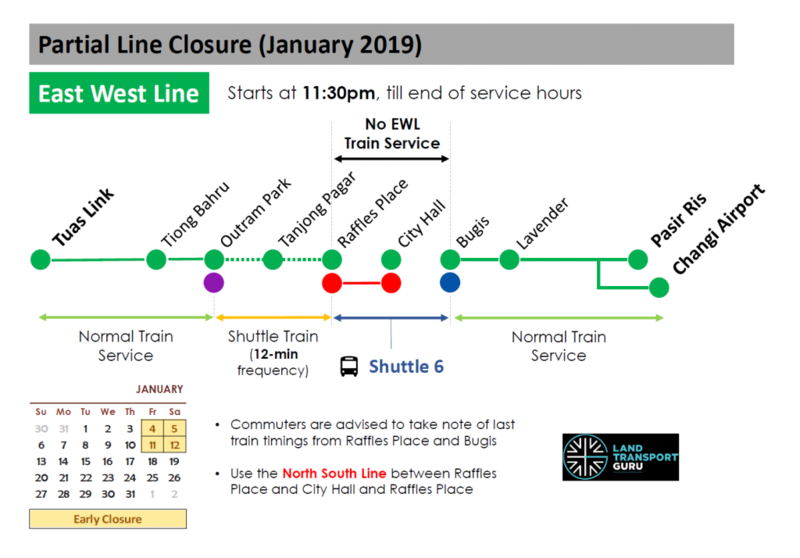 Shorter operating hours along the East West Line (EWL) between Raffles Place and Bugis will take place on Fridays & Saturdays in January 2019 (first two weekends) to facilitate additional engineering hours for maintenance works in the EWL railway tunnels near City Hall MRT Station. This will involve early closures along the EWL. 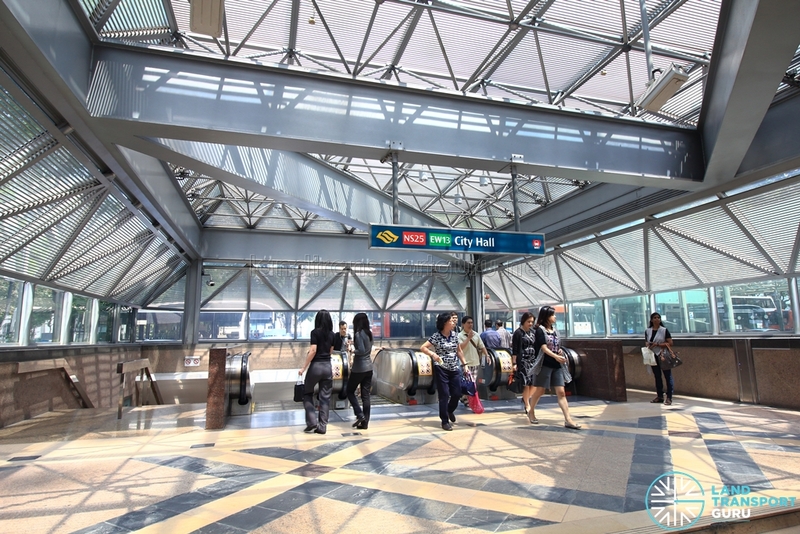 Concurrently in January 2019 (first two weekends), there is Early Closure for North East Line (Serangoon – Punggol). 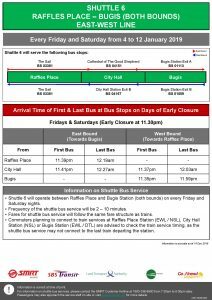 As a result, train services on the East West Line between EW12DT14 Bugis and EW14NS26 Raffles Place will be unavailable during the periods of closure. 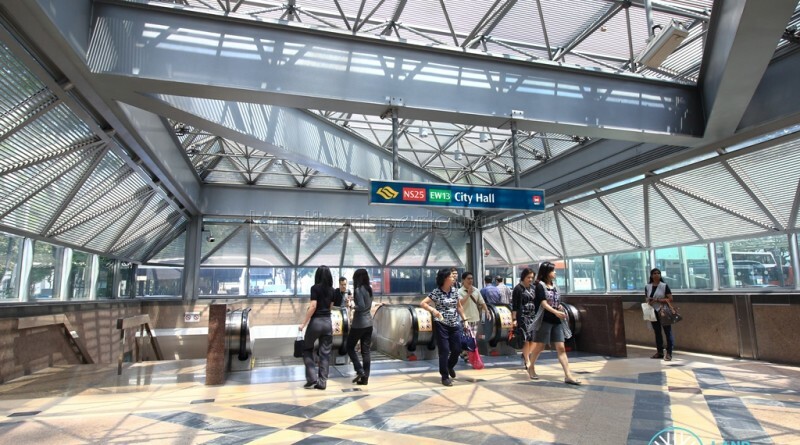 Train services between the remaining sections of the EWL (Pasir Ris—Bugis, Raffles Place—Joo Koon & Changi Airport Branch Line) will not be affected. 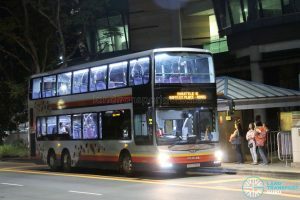 On days of Early Closure (4, 5, 11, 12 January 2019), last trains will depart at 11:30 pm on the affected stretch.